We’re pleased to announce our debut curatorial project! 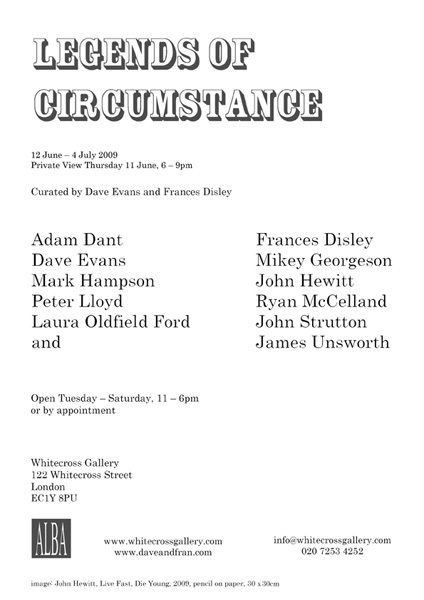 Legends of Circumstance opens at Whitecross Gallery near the Barbican. 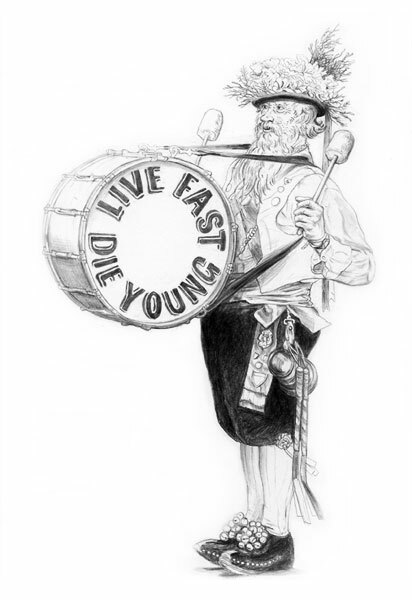 The show runs from the 12th of June to the 4th of July and features Fran and I, Adam Dant, Mikey Georgeson, Mark Hampson, John Hewitt, Peter Lloyd, Ryan Maclelland, Laura Oldfield Ford, John Strutton and James Unsworth. The show was inspired by Saul Bellow’s ‘The Dangling Man’, which is narrated by Joseph, a lonely and alientated chap who is stuck at home while waiting to go off to fight in World War 2. He’s horribly critical of himself and feels out of sync with society yet only makes efforts to further distance himself from his situation and the people around him. Eventually he ‘gives in’ and decides that going to war could be the best thing for him, with the book last lines being “Long live regimentation!” He’s a classic anti hero, and with a bit of further investigation, we decided that it’s a rich and interesting trope to base a show around. All of the selected artists deal with notions of the individual in relation to others and explore the strategies we use to try to make sense of the strange situations contemporary society often put us in.